Foster homes are vital for children that need a safe and structured, kind and respectful, loving place to live. Children are placed in foster care due to abuse, neglect or abandonment. Foster parents support the child in many ways; through tending to their well-being and educational needs, through supporting them to fulfill the wishes they have for their lives, through providing opportunities for the youth to understand themselves and supporting healthy, meaningful relationships. The initial goal for all youth is to return to their biological parents. If this is not possible, a family is sought for the youth to live with permanently. Our professional staff are trained in the REStArT model and work collaboratively with each client to achieve their personal goals. Who is a good fit for becoming a Specialized Foster Parent? Foster parents come from all cultures and walks of life, are at least 21 years of age, are financially stable, and are able to pass a background check. Foster parents should be open to learn how to work with children who have experienced adverse life situations and to be able to help the child maintain healthy family ties. A commitment to participate in training and also to applying training concepts as part of a treatment team is essential. 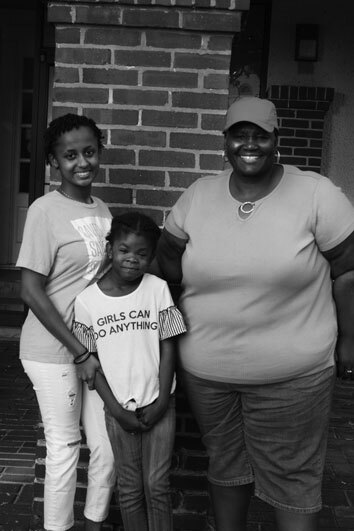 Read more about Nyema’s Story here! What kind of support is provided by Allendale for Foster Parents? View our FAQ’s and learn more about our Specialized Foster Care Program. View our Foster Care Law Implementation Plan. How can I get more information about Allendale’s Specialized Foster Care Program? Contact our Specialized Foster Care Department at 847-356-3322 or email FosterCare@allendale4kids.org. Member of Family Focused Treatment Association.